http://caseyanthony.com/?search=10mg-levitra Join the Emperor Raja Laut for an exciting dive liveaboard adventure in Indonesia. Diving is offered year-round to some of the best spots in the region. 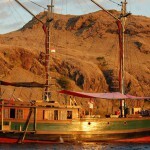 From June to September guests can enjoy thrilling diving in Komodo National Park. Visit world class dive sites Castle Rock, Crystal Rock and Manta Alley, with the chance to see the Komodo Dragon, manta rays, sharks and much more. cost of vardenafil from canadian pharmacies MY DAMAI II has a deck length of 40 meters and a beam of 9 meters at its widest point. It has been built to an uncompromising standard and fitted out with all the latest diving, navigation and safety equipment to ensure that the level of service appreciated on our first vessel is maintained and, where possible, improved upon, including satellite Wi-Fi capabilities. The M/V Damai I is a part of the Damai fleet. 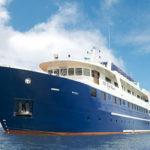 The 40m, luxury DAMAI I Indonesia liveaboard has been designed to offer superior diving in the Indonesian archipelago while providing exceptional personal service. Guests enjoy all inclusive service onboard including spa therapy with Damai I’s Signature Service. 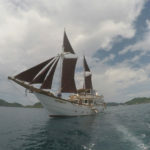 The wooden schooner, M/V Cheng Ho, is a 33m luxury liveaboard cruising the amazing waters of Indonesia. Cheng Ho schedules diving holidays to the fantastic dive areas of Komodo & Ambon. 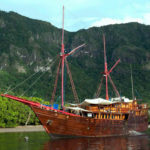 As a member of the Bali Sea Safari Cruises, Cheng Ho is renowned for excellence in service, food, comfort and relaxation. The vessel is stylish, the accommodations are luxurious and the crew is highly attentive. 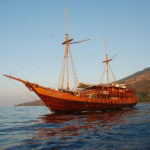 Newly built in 2015, the traditional sailing phinisi Cajoma IV offers epic liveaboard dive trips in Komodo from April – December each year. Cruises are 3-nights/4-days long, and explore the diverse area of this National Park. The itineraries have been planned with divers needs in mind, and the maximum amount of dives is on offer whilst keeping group sizes small. An experience of a lifetime awaits you onboard the magnificent Blue Manta. Stable, spacious and safe, the Blue Manta is fully equipped to take you on a fascinating diving adventure in the magical waters of Indonesia. the stars or just relax in the Indonesian sunshine. 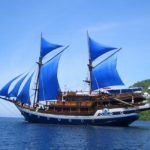 Tiger Blue is a traditional timber constructed phinisi yacht which sails around the stunning islands of Eastern Indonesia. 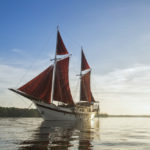 A holiday aboard the Tiger Blue is full of unforgettable moments, be it finding dragons on the Komodo Islands, searching for birds of paradise in West Papua or snorkelling with huge manta rays then kayaking over coral gardens in Raja Ampat. Haruku was designed and built in Australia. The concept was for a fast, efficient and comfortable platform from which to explore remote waters. Haruku is a recently refurbished and upgraded long range expedition yacht built for super comfortable cruising. This catamaran, based in Bali, has broad and spacious decks which can entertain up to 25 guests for an amazing day cruise or for a sunset party. Dream of adventures into the wilderness aboard your own pirate ship? If yes, Ananda is the boat for you! She is a traditional Phinisi boat recently under new ownership and has subsequently been refurbished and launched again in 2014. 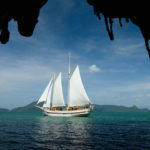 Ananda offers fabulous comfort for small groups of family or friends who are looking for unforgettable vacation experiences while aboard a sailing vessel that is reminiscent of the old romantic sail boats that traveled along the Spice Routes that were so famous in these parts centuries ago.